(April 11, 2019) Duos and duets. When the right duo come together to make magic on a duet, the result can be magic. And the highest honor for any duet is first name status: Marvin and Tammie, Luther and Cheryl, Rene & Angela; you get the idea. The pair that operates under the name Smooth Blend have yet to reach first name status, but the early returns are promising. 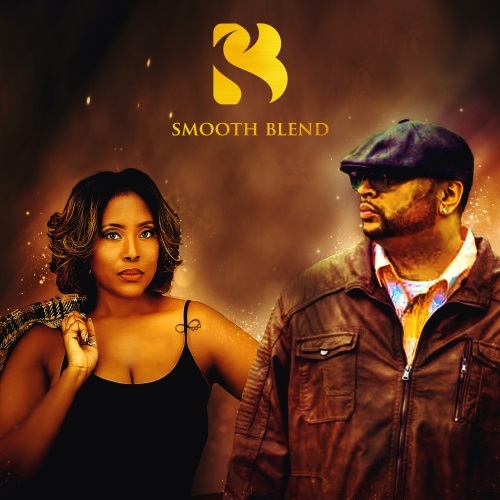 Both of these artists are accomplished as solo performers, and once music fans click on “Moves,” the track featured in this First Listen, the name Smooth Blend will be self-explanatory. This track, from their album Couples Therapy, combines a muscular baritone that can range into high tenor range with a sultry female voice that hovers sweetly above the lean and bouncy steppers jam on a track that tells the story of a couple that makes the most of the time between nighty night and time for school. Keep this up and duo will reach first name status. I’ve heard the album, so I’m going to confer that honor onto Ty Juan & Shawndella right now. Cuz I got it like that.